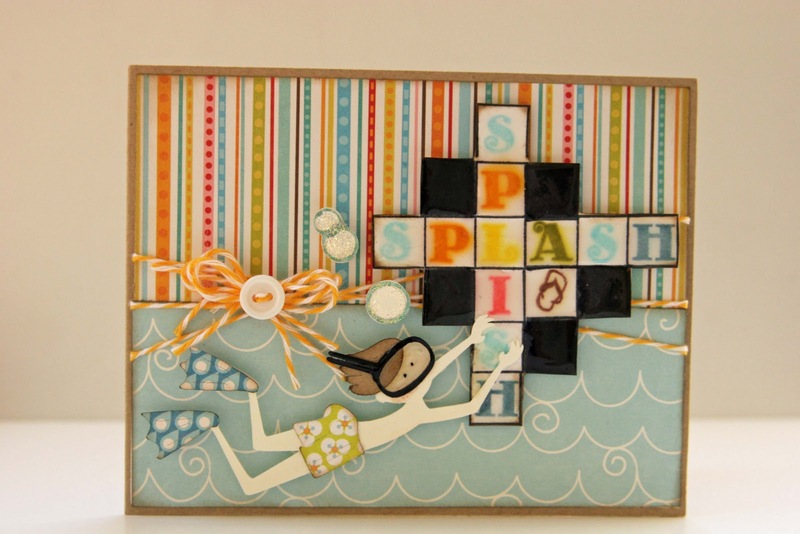 Liz's Paper Loft: Last Day of Summer! Hello! So today is the last day of Summer...not sure how I feel about this. This was the second mild summer we've had, so I really don't feel like it ever got here. However, I LOVE Fall!!! So in honor of the last day of Summer, I made a card using My Creative Time ~ Anyday Bingo & Crossword stamp set. Disclaimer alert!!! My card was perfect, but I didn't see it that way until it was too late!!!! After stamping the letters, I thought it needed something more ( I usually do). So I added glossy accents to the whole puzzle and the mask...good, right? Not really...the letters became blurry and faint. I'm not sure how to avoid this in the future, I guess just stop and leave well enough alone! :) That just doesn't seem all that fun! What a perfect card to celebrate the end of Summer! Liz this is actually really perfect. It gave the crossword the water effect. Love it. Love this card Liz! I'm sad it's the last day of summer already! It sure did fly by! cute! Love that paper pack from echo park! I Abosolutly love this card, wish I could say my summer has ended. Still way to hot in FL. I think it's perfect, Liz, and I thought you meant to do it before I read that! The blurry letters make it look like it's under water. 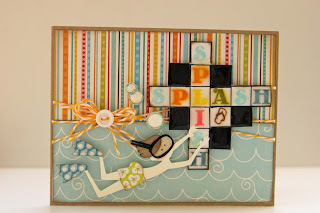 I love the diver putting the "s" on the puzzle! So cute and clever!!! Cute card! Love how it looks like your diver is creating the cross word. Great Job.